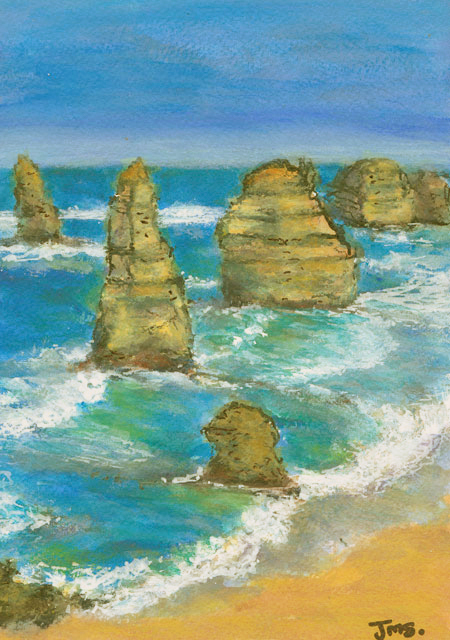 One of my few paintings of Australian landscape – something I’m aiming to correct. On one of our recent trips, we had a wonderful drive along this beautiful coastline. Nothing like rolling waves and gigantic rocks to get the juices flowing!